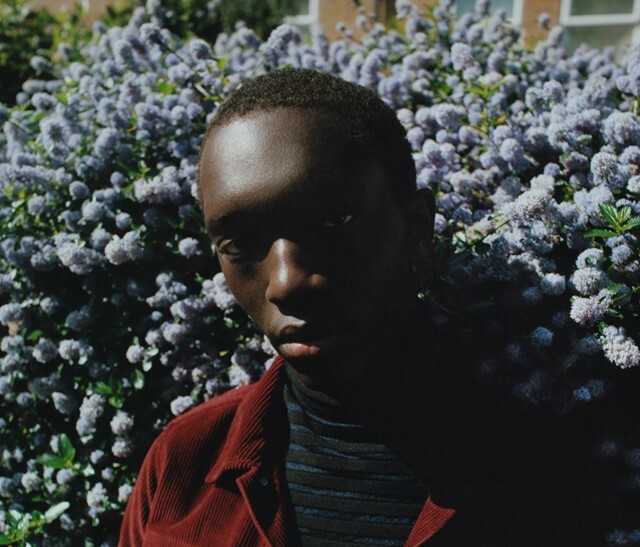 Muse to menswear designer Grace Wales Bonner, model-slash-artist Wilson Oryema was first scouted on a lunch break from work and ushered into his first show: Maison Margiela. His face may have been plastered everywhere as part of the acclaimed Tyrone Lebon-shot AW16 campaign for Calvin Klein alongside Kate Moss, Frank Ocean and Cameron Dallas, but he’s shifted that recognition into cultural cachet for his art practice. He’s worked on a film about matriarchal societies, volunteered with the Black Cultural Archives, and started his own SEO agency. Not one to stay idle, Oryema has also lined up two collaborative photo projects, a musical venture and a performance art video. The Brixton native is planning an exhibit in London, which he says will be “a collection of work which aims to juxtapose the themes of ‘consumption’ and ‘repurposing’ in relation to human behaviour. Primarily highlighting our relationship with rubbish and recycling. This was primarily inspired by the renewed focus on recycling targets in the UK as a result of Brexit, as well as the global issue at large”. This will translate into a presentation of ideas around the theme through film, photo, sound, and sculpture. Now that Article 50 has been triggered and Trump has begun waging war on the Environmental Protection Agency, Oryema’s work has taken on a whole new meaning. Shot through with social urgency, his photo-manipulated collages are at once both overflowing with feeling and underpinned by a message.